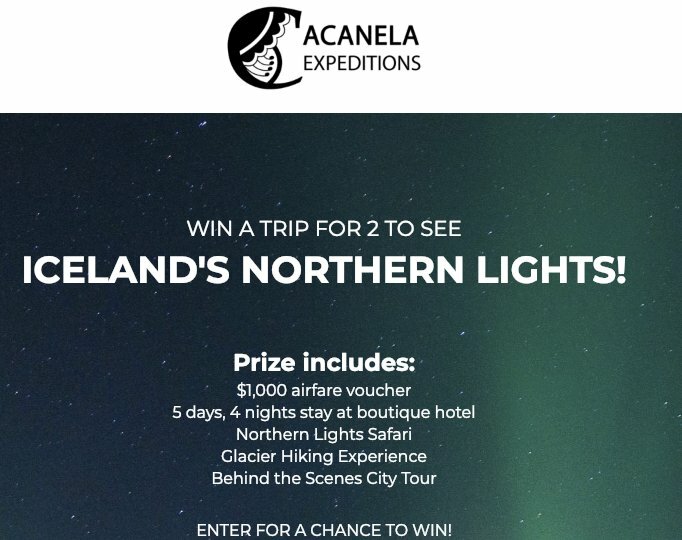 $2,000.00 Iceland's Northern Lights trip can be yours. Enter for a chance to win this once in a lifetime trip. -Behind the Scenes City Tour.